By tnomliw from Gulfport MS. IT Ain't what it use to be !!!!!!!!!!!!! In the passed this product was a full sole patch, know came as a little egg shaped patch. It does not work for me. It came in the package as displayed in the passed. I tried to get a hold of Master Industries, but there E-Mail system doesn, work. Amazing! I can slide again! How quick is the shipping cause I could use it by Sunday? Hello! Our ground shipping takes 3-7 business days to arrive. We do have some other expedited shipping options they would get the product to you sooner. Those details are on our shipping page of the checkout process. Unfortunately, this will only work on the sole of your shoe. 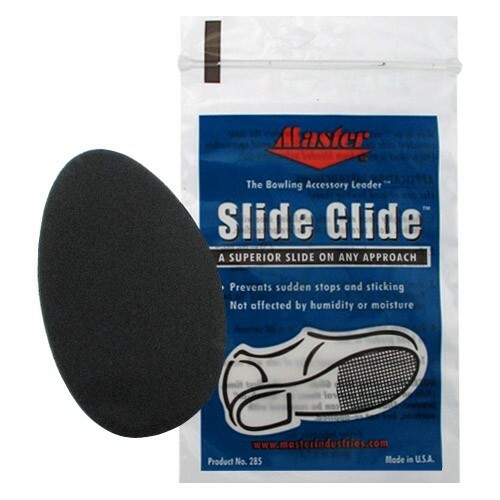 Due to the time it takes to produce the Master Slide Glide ball it will ship in immediately. We cannot ship this ball outside the United States.